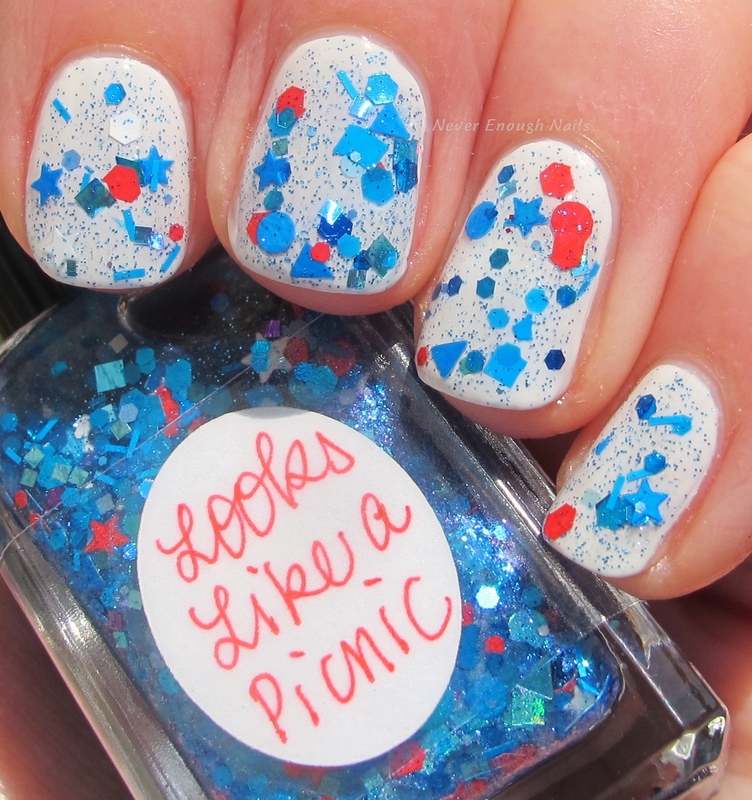 Never Enough Nails: An MDW Lynnderella Friday, Vol. 44! Alright US readers, who is ready for a three day weekend??? I know I am! This weekend is Memorial Day weekend (MDW) here in the US, for anyone who doesn't know. It is the unofficial start to the summer, and of course, a time to thank our veterans and military families. Lynnderella Looks Like a Picnic will be my mani this Memorial Day. 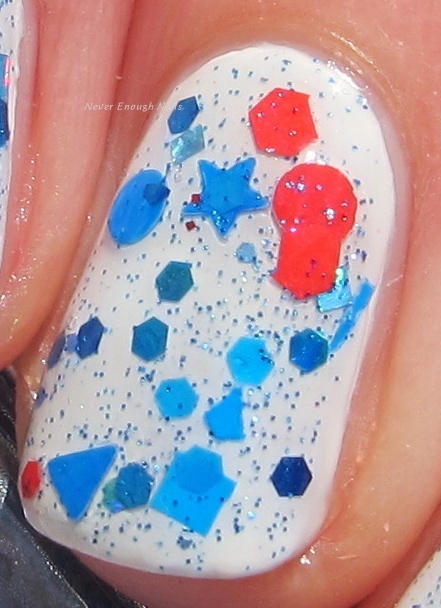 It's a festive mix of red, white and blue glitters, perfect for the holiday. There are stars, bars, circles, hexes, triangles, and more fun shapes. The glitters are both matte and shiny. This looks perfect over a white base. I used OPI Angel with a Lead Foot. 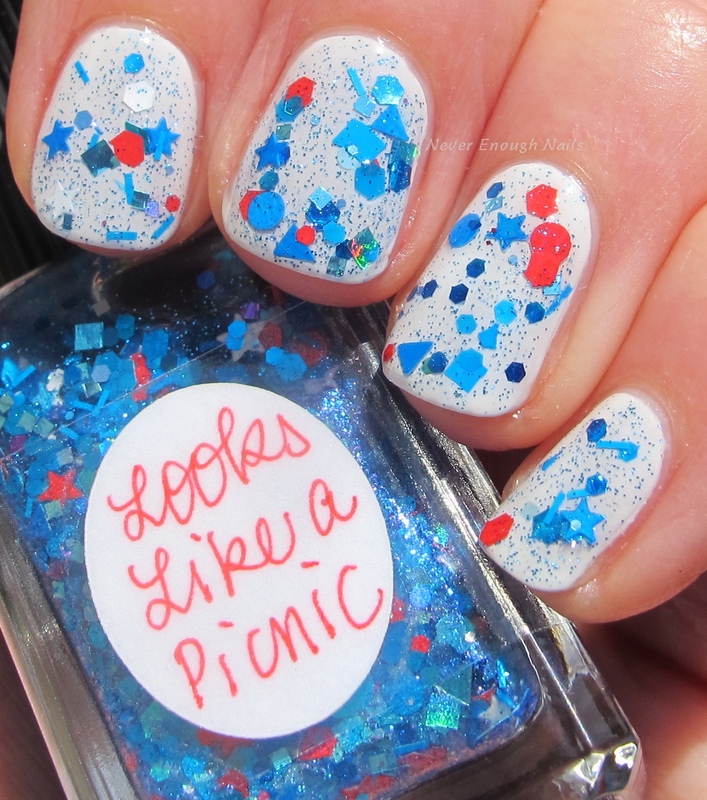 This is just one coat of Looks Like a Picnic over the OPI. It was easy to apply with the dabbing method. 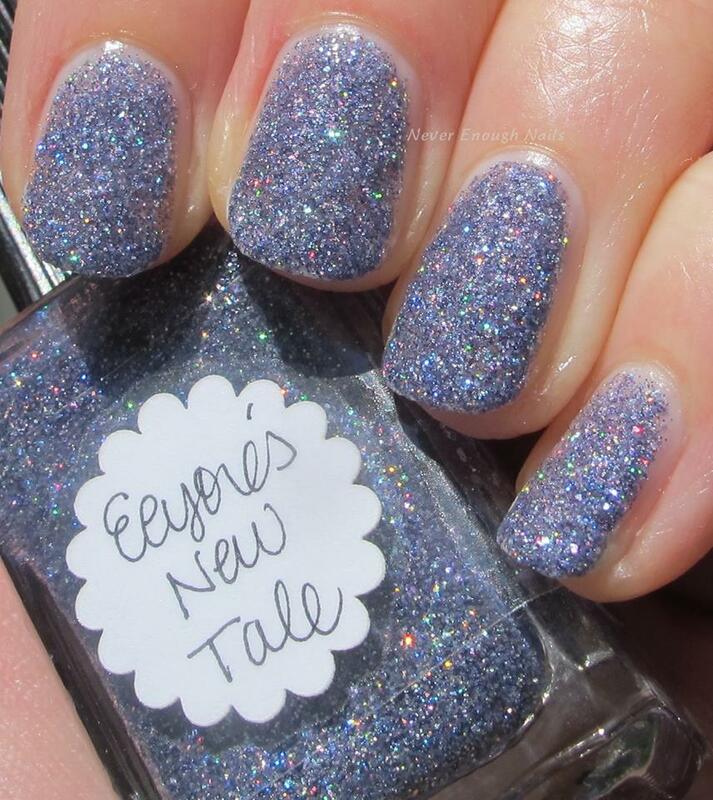 Lynnderella Eeyore's New Tale is a new LE with grey and purple glitter, maybe a deep "gravender", as they say. Lynnderella says it has "small dove grey glitter with lilac holographic glitter accents in a clear muted purple base". It's a lovely neutral feeling purple. 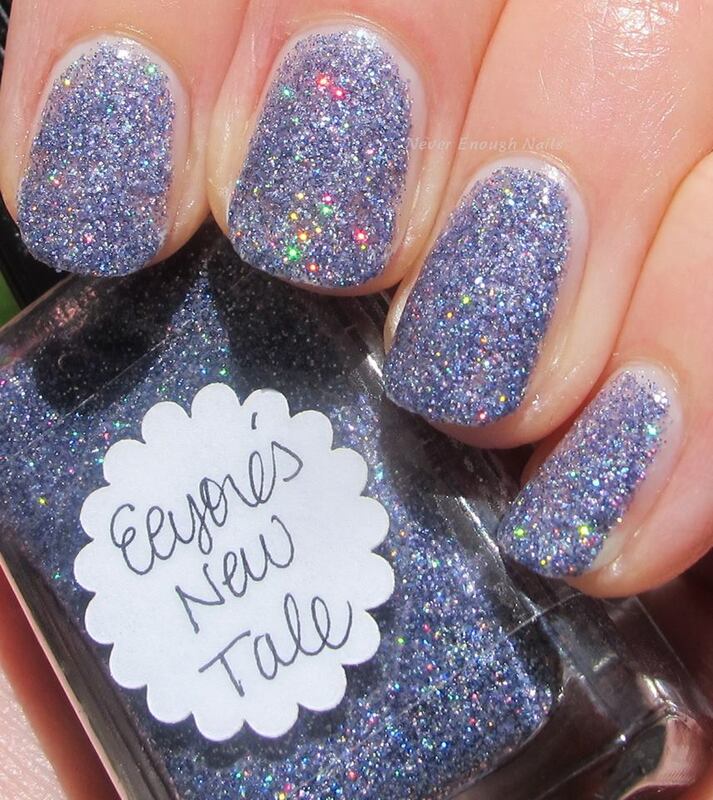 The holo sparkle in this is insane!! It's so rainbow-y, I love it! See the holo going crazy? Awesome! This is two super easy coats. I'm continuing with my Lynnderella re-swatch project. The Garden of Even is one of my favorite older Lynns. This one is a core polish from my favorite Lynn collection ever- Sweet Somethings for a Summer Solstice. 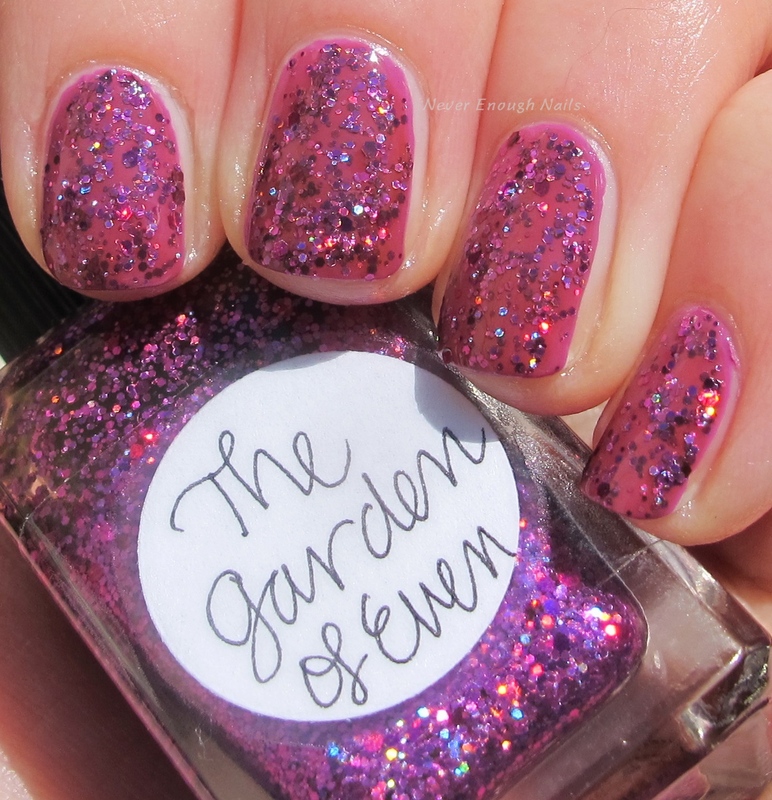 It has a sheer pinky purple base with purple holo glitters. 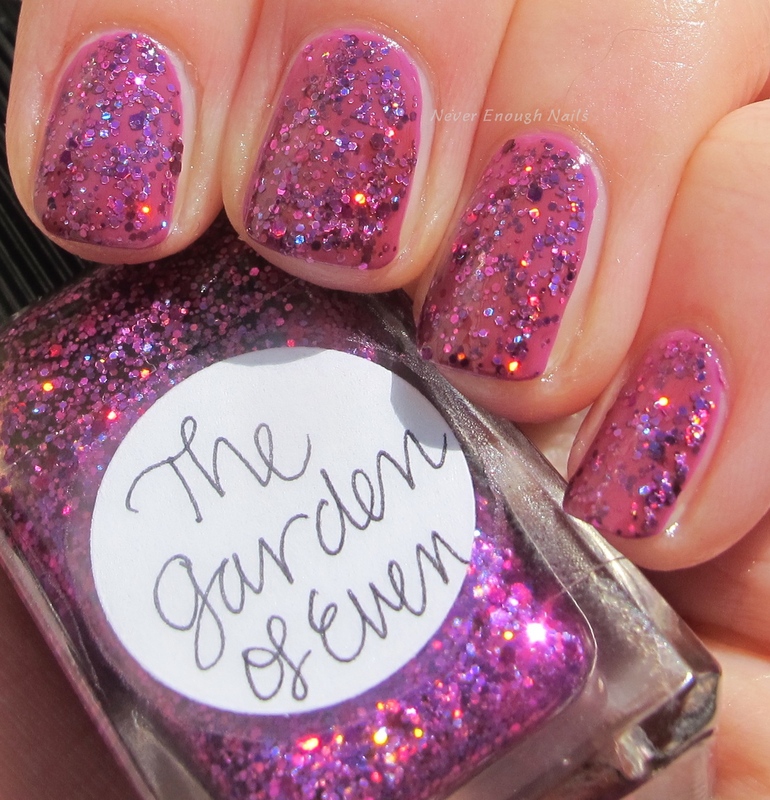 I used two-ish dabbed coats of The Garden of Even over Zoya Liv (from the Sunsets collection, swatches soon!). My bottle of this Lynn is from the original 2012 release and it still applied very well! 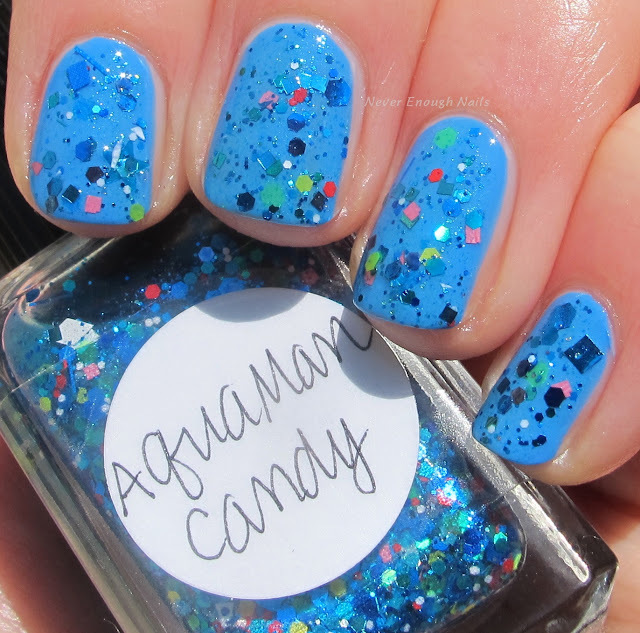 Lynnderella AquaMan Candy is another older core polish from the Once Upon a Prince and More Man Candy collection. 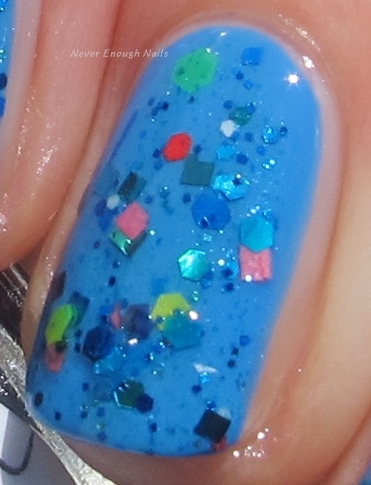 Lynn describes it as "cyan-shimmered cyan base saturated with cyan glitters with red, pink, white and green accents. 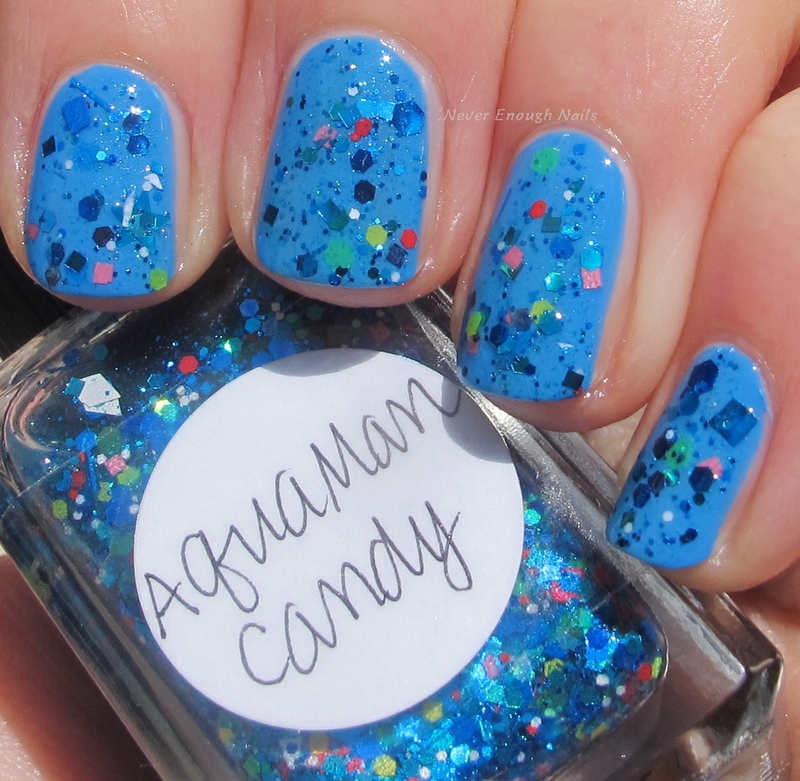 Perfect for mermaids and mermen.". I love the mix of cyan glitters with a little pop of red, pink and green! This is one dabbed coat over Zoya Dory (also from the Sunsets collection!). Again, my bottle is from the 2013 release and it applied beautifully. These beauties are all available now at lynnderella.com! Anything fun planned for the weekend? I have to clean out my closet... but I will have the full story about why I have to do that for you tomorrow. It's a fun story! !